Unique small wooden Plaque , beautifully made, layered with terracotta type stone and glass front. Depicting St. Philomena as she was discovered in the catacombs of Priscilla. 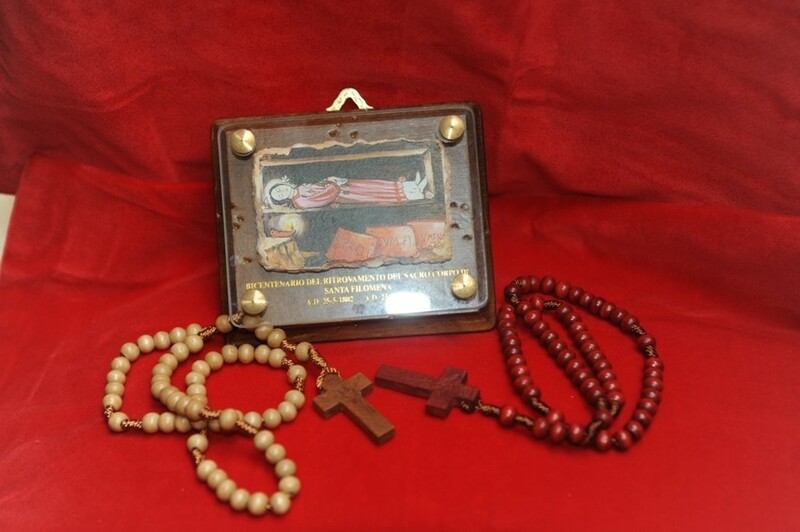 Complimentary two sets of roped wooden rosary beads.